Array antenna number two of a Titan 1 missile complex. Down this long tunnel, the remains of the empty shells that housed the antenna’s for the missile guidance systems sit partially filled with decades of sand from the plains. 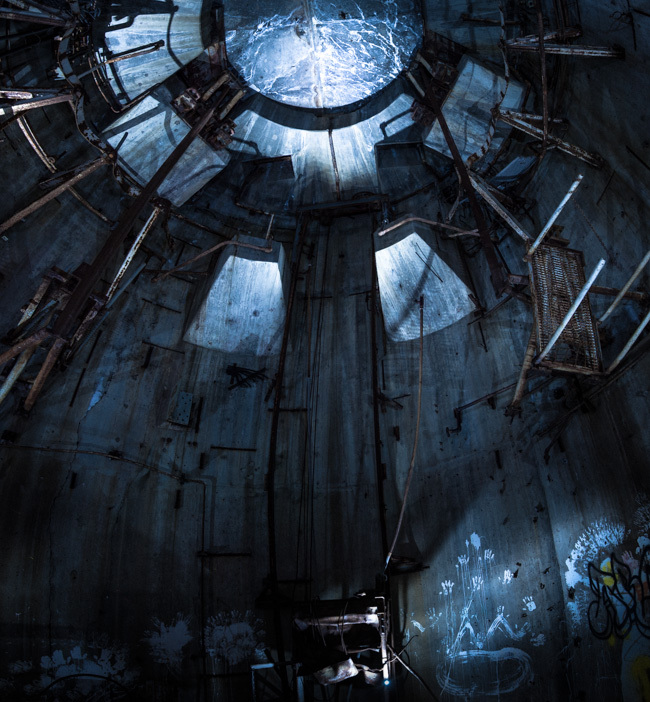 Parts of the complex have suffered vandalism and graffiti, but the art-work at this end of the under ground installation have works that almost compliment the industrial decay. An atmosphere of science fiction, I love ! i agree with Duke ,,,, sci-fi setting indeed!!!!!!!!!!!!!!!! seems like a glowing power source up in that ceiling, great catch! That looks like a film set. we are in the image editing field . you can contact us for our services.